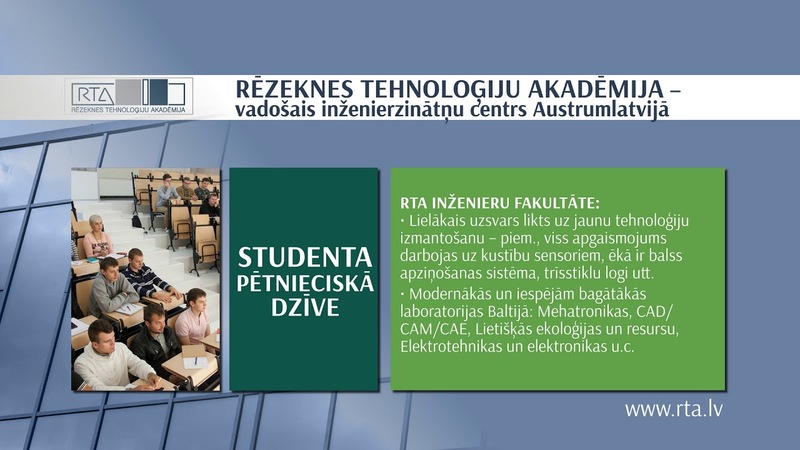 Student council of Rezekne Academy of Technologies (RTA) is an elected, independent institution representing the rights and interests of the students of RTA and acting in accordance with Law on Institutions of Higher Education, RTA Constitution, other RTA regulations, and national legislation. Its goal is to represent the interests of RTA students in the educational, scientific, and cultural fields. RTA SC is an independent and collegial institution consisting of elected representatives from all RTA faculties. RTA SC actively represents the interests of RTA students at a local and national level. SC organizes various events for students, for example, the first year students’ event Fukši, orienteering competition Kroka, intellectual competition Erudite, Engineering days etc. SC actively participates in social activities of RTA. RTA SC is a member of the Student Union of Latvia. take an active part in RTA students` life.